Back in the nineties, during my tenure at Staffordshire University and at a time when I still wore my hair long, I took advantage of my first two years of summer holidays to join the Camp America programme and work in the United States. 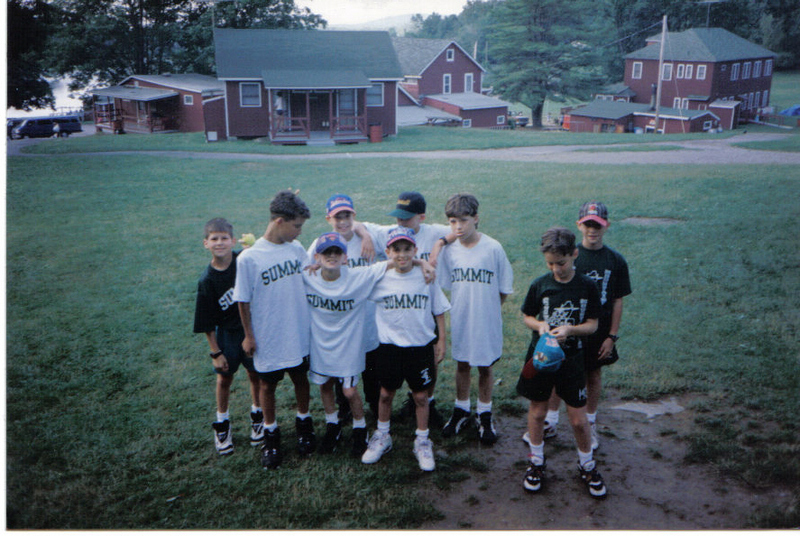 I had two wonderful summers (1994, 1995) at Camp Summit, Wurtsboro in the Catskill Mountains of New York state. I had some great experiences and over the next few weeks/months I am going to write a series of articles about some of the things that happened at Summit and then travelling around America afterwards. 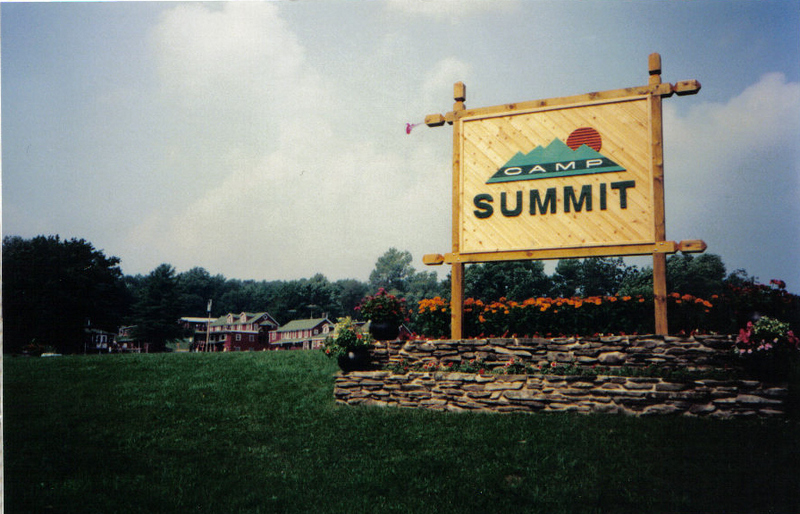 Camp Summit doesn’t operate anymore, at least not to the best of my knowledge, and I have read some old web based reviews that don’t present it in a positive way either. My view is that regardless of any decline of the site after my time, and after Mel and Judy Stern relinquished control, it was an exciting place that had a good vibe and plenty of energy in evidence! To manage expectations; I won’t write about things in a chronological order (that would be far too structured), although I will attempt to put the articles into some kind of timeline when I have finished. The second caveat is that 19 years have passed since 1994 and some of my recollections may not be as razor sharp as they once were (so apologies for any unintentional inaccuracies)! Finally, I won’t write about everything because if I did, I’d end up writing a book! In order to set the scene; the Camp America programme exists for American parents to see that their children are entertained across the school summer holidays. Parents often send their kids away to camp for eight weeks and only get to see them on designated ‘visiting’ days. The concept of sending your kids away for the whole summer will seem alien to British parents but in the States it is an established practice. Typically it’s something that benefits kids from wealthy backgrounds (it’s expensive) and it is genuinely valuable in terms of giving children confidence, independence, experience and personal development. The children would go year after year and develop friendships that would last them a lifetime. Camp Summit was run by the Stern family and its intake of children came primarily from wealthy Jewish families from the Long Island and Manhattan districts of New York City. The camp took boys and girls from the age of 5/6 through to 13/14 and all activities were shared (although the accommodation arrangements were segregated with a girls and boys side of the camp site). The Sterns recruited councillors from all over the English speaking world and I got to meet Mel and Judy at a staff recruitment fair in London. I went to Camp Summit as a specialist councillor – that meant that whilst I had a day job, I would also share accommodation with the kids and would be responsible for their welfare when with them. My specialism was running the go-karts and the go-kart circuit. Having owned and maintained my own cars for a number of years, the mechanics of a go-kart were not going to be too much of a challenge. The karts ran with Briggs and Stratton engines of five or eight horsepower that you would typically find powering lawnmowers in domestic situations. When the go-kart circuit was closed, I spent my time with the kids I bunked with. The boys, eight years old when I first met them were youthful, exuberant, funny and sometimes a pain in the arse! What was good was that when I went back for my second summer, I stayed with the same group of kids again! The second year was even more fun than the first thanks to being known and respected. As a councillor you earned what amounted to little more than pocket money for your summer of work. Having stated that though, and if I remember correctly, the Camp America program covered the cost of flights, transfers, working visas and all your on camp accommodation and food was provided. It was a brilliant way to get out to the States, have fun, learn something, earn a little bit of money and then spend it by going travelling when camp was over. For many years, I genuinely think that the Camp America experience was a valuable entry on my CV because it proved that I had get up and go and a degree of bravery! And even all these years later, despite many other life changing experiences, the summer holidays of 1994 and 1995 are still well worth writing about. And one or two of the friends I made all those years ago, I still stay in touch with! Copy based man hugs go to Steve Parker and Rommel Vigne.